Do You Want A Healthier Relationship With Your Phone? Join the thousands of people who have taken the 7-Day Phone Breakup Challenge*—and create a relationship with your phone that actually feels good. *No phones will be harmed or discarded. This challenge consists of an immediate confirmation email, followed by 7 daily emails. If a day's email is missing, be sure to check your spam folder. By signing up you agree to receive the challenge emails and to be subscribed to our newsletter, which is dedicated to helping people achieve better screen/life balance. Thank you for signing up for the 7-Day Phone Breakup Challenge! Over the next week, you’ll be receiving a series of emails with exercises designed to help you rethink your the way you interact with your phone. By the end, you’ll be well on your way to creating a new relationship. If you’d like a head-start, fill out the Phone Breakup Intake Quiz right now, while your motivation is high. (It’ll greatly improve the effectiveness of the challenge.) Let’s do this! Is your phone the first thing you reach for in the morning and the last thing you touch before bed? 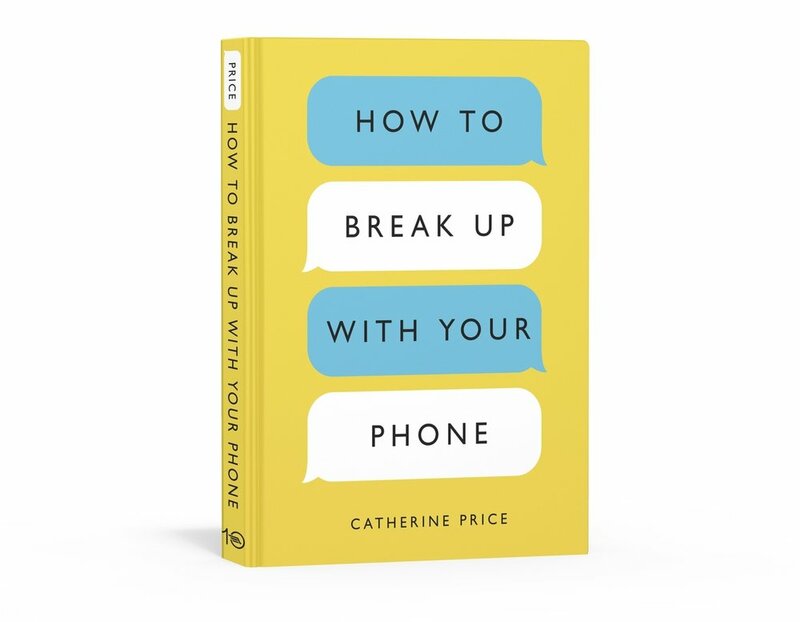 Award-winning journalist Catherine Price presents a practical, hands-on plan to break up—and then make up—with your phone. The goal isn’t to get rid of your phone; it’s to create a long-term relationship that feels good. You’ll discover how phones and apps are designed to be addictive, and learn how the time we spend on them damages our abilities to focus, think deeply, and form new memories. You’ll then make customized changes to your settings, apps, environment, and mindset that will enable you to take back control of your life. Packed with tested strategies and practical tips, How to Break Up With Your Phone is an essential, life-changing guide for everyone who owns a smartphone. Catherine Price is a science journalist, author and speaker. She helps individuals and organizations establish best practices to support their creativity, productivity and mental health. To inquire about coaching or speaking use the contact page. How to Break Up With Your Phone is being published in 26 countries and translated into 18 languages. — Lisa Davis, "It's Your Health"